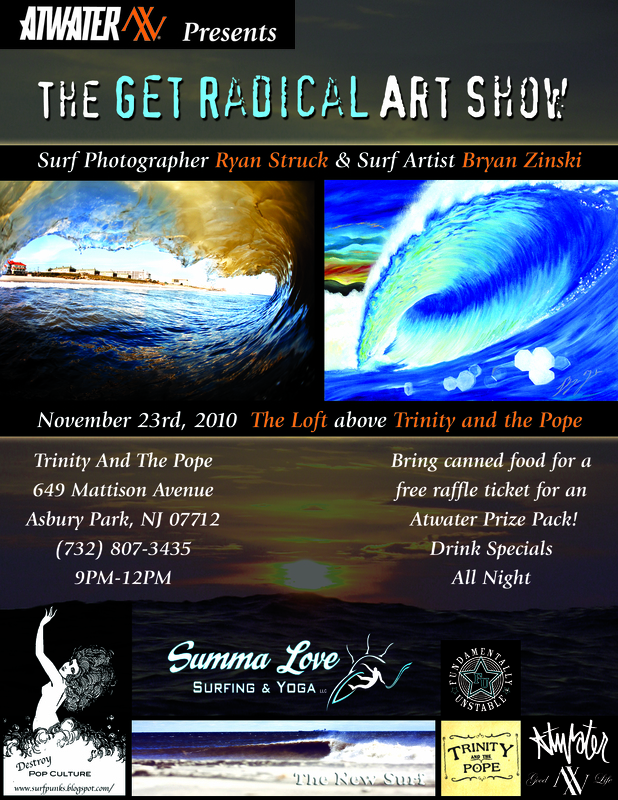 Surf artist Bryan Zinski and photographer Ryan Struck will be showing at The Loft (above The Trinity And The Pope) in Asbury on November 23rd 2010. See the flyer below for details! This entry was posted in Photography and tagged 2010, Art, Art Show, Artist, Asbury Park, Beach, Bryan Zinski, In, Jersey, Lifestyle, nj surf photographer, November, Painting, Photography, surf artist, surf painting, surf photos, Tube, What to do. Bookmark the permalink.